This stunning hamsa shaped home blessing is colorful and pretty and a delight for any home. Wishing the inhabitants love, joy, happiness, health, wealth, and success, this is a wonderful gift or decor choice in your home. 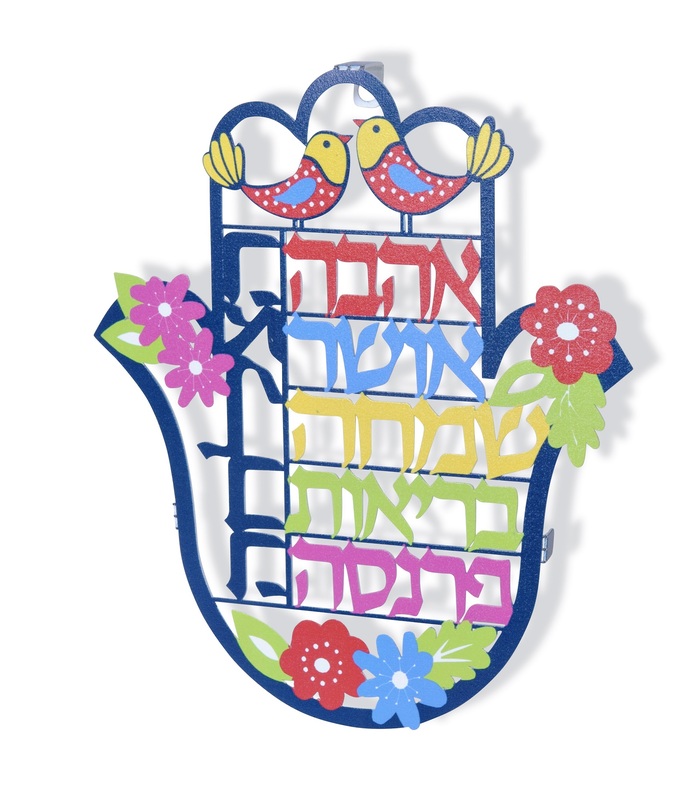 Made of stainless steel by the creative mind behind Dorit Judaica, this gorgeous home blessing wall hanging is in the shape of a hamsa and inside features words of blessing in Hebrew. Surrounding the words, on the lines of the hamsa, are flowers and birds of various bright colors, coming together in a positive and joyful design that will make any home cheerful looking.